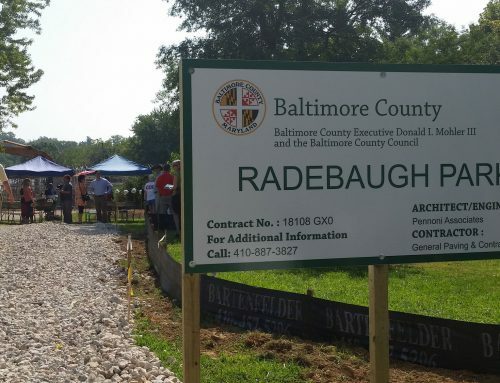 Councilman David Marks received a letter today from Radebaugh’s Florist indicating that they had obtained an estimate for the demolition of the greenhouses on the property that is significantly lower than Baltimore County’s estimate of between $400,000 and $500,000. The new estimate is $143,655.79. Project Open Space funds will fund the $1.2 million purchase price of the property. Since it appears that the demolition cost was the only thing holding up the transaction we are hopeful that the property can now be purchased and turned into open space.